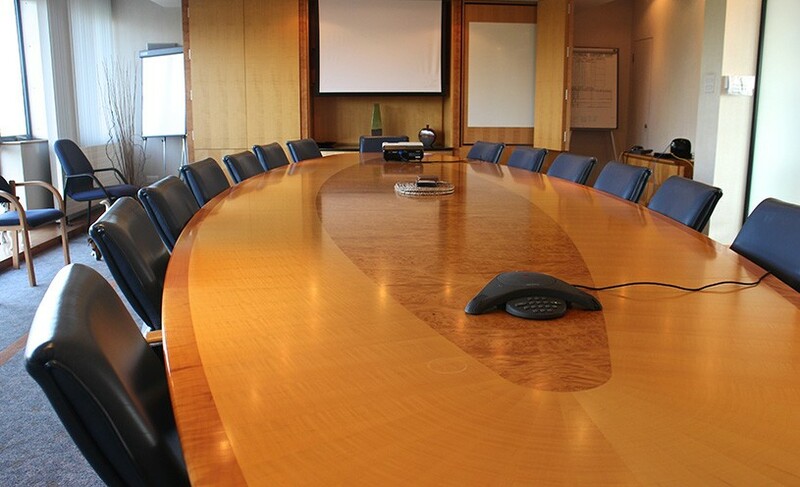 The boardroom is available half-daily and daily. To find out prices or for more information, please call 02920 894700. An impressive 2nd floor Boardroom, air conditioned and offering Wi – fi, projector & presentation tools all supported by our catering facility. 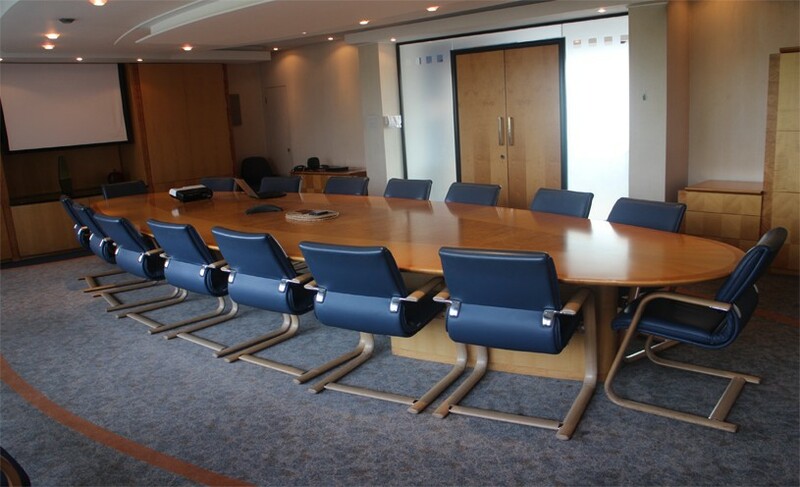 The Boardroom includes an impressive 16 seat walnut table and matching surround with leather comfortable boardroom chairs. Additional chairs allow for more people to easily sit in the large room. Air conditioned, Wifi, conference phone, whiteboards and projector are all available within this facility. A separate landing also offers a waiting/buffet area. Available to rent for full and half days. Our boardroom is available for hire to both tenants and the general public. Please contact us to check availability and pricing. How many workstations / people? We have various options for catering that can be discussed based on your requirements and budget. Viewings are available Monday to Friday 8.30 to 4.30pm. Please contact us to book a viewing.